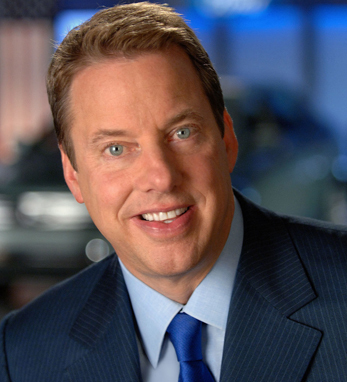 As executive chairman of Ford Motor Company, William Clay Ford, Jr., is leading the company that put the world on wheels into the 21st century. Bill joined Ford in 1979 as a product planning analyst. A member of the board since 1988, he became chairman in 1999, and is also chairman of the board’s Finance Committee, and served as CEO from October 2001 to September 2006. Bill is vice chairman of the Detroit Lions football team, chairman of the board of the Detroit Economic Club, and a member of the boards of The Henry Ford Foundation, the Henry Ford Health System, and is chairman of the New Michigan Initiative of Business Leaders for Michigan. In recognition of his commitment to education and his devotion to the Detroit community, in 2015 Mr. Ford was given the Ambassador for Humanity Award by the USC Shoah Foundation Institute. Bill holds a B.A. from Princeton and an M.S. in management as an Alfred P. Sloan fellow from MIT. He is the great-grandson of founder and innovator Henry Ford, who was the son of an Irish immigrant from Cork. In 2011, Bill was inducted into the Irish America Hall of Fame.